Just wanted to share a project with y'all. Goodwill may very well be one of my favorite stores ever, and no this isn't a sponsored post. I just love Goodwill. Because you can buy awesome things there for low prices and you can buy not-so-awesome things and turn them into something you like way better. Listen, I'm not judging the before dress, the pattern is lovely, the shape is just not my flavor. 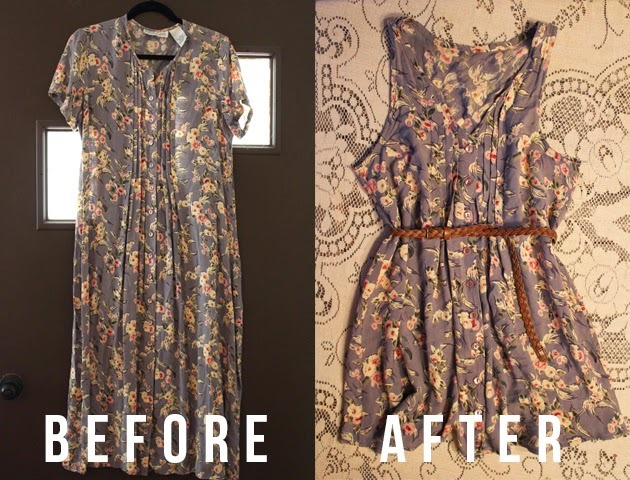 When I saw this dress for half-off, I knew it had to be my next Goodwill alteration project. I knew I wanted to shorten it and cut the sleeves off, although now I think keeping the sleeves on might've worked too. But it was certainly touch and go for a little bit in the alteration process. Even though the end result is so simple, it was a pretty tough alteration. Things just weren't hanging right for a while, but in the end it all worked out! I leeeeerrrrrv this dress so much. I will definitely be wearing it as much as I can before summer's end. 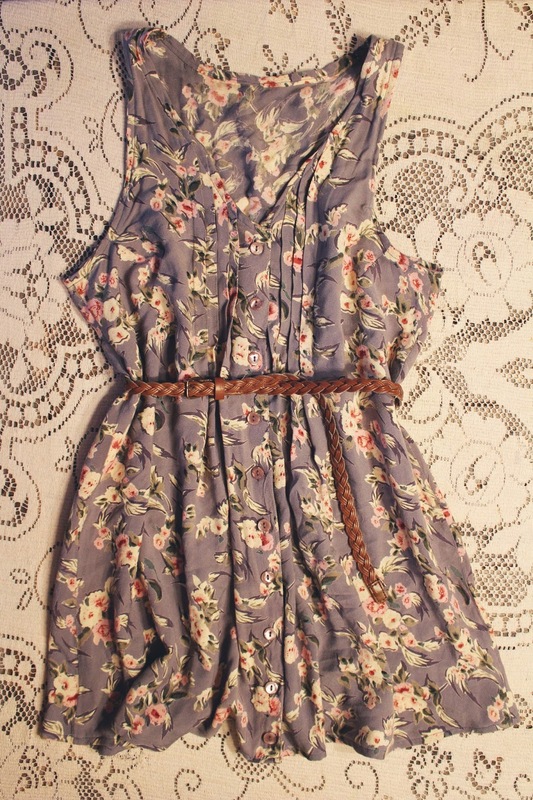 We have an outfit post coming up soon featuring this dress so keep a lookout for it in action! Wow! You're so talented, that dress is so cute. I definitely wish I had your skills aha. I have a new post on the blog see you there!